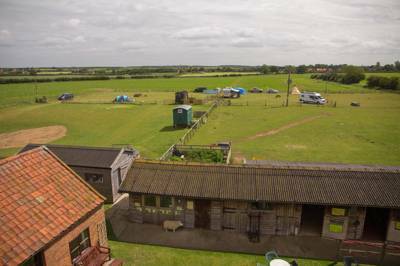 Laying claim to stunning sandy beaches, the peaceful waterways of The Broads and lots of beautiful countryside in between, there’s nowhere quite like Norfolk for a camping or glamping holiday. Its windswept dunes, big skies and nature reserves have a wild appeal and yet it’s surprisingly easy to reach from London, the Midlands and the South. It’s a firm favourite on the camping scene with scores of campsites – but only the best of them have been given the thumbs-up by our team of experts for this collection. Fish and chips on the waterfront, catching crabs from the pier, swimming on Cromer beach or walking the cliff-tops to Overstrand, however you want to spend your camping holiday, find the best places to pitch your tent near Cromer and Sheringham in North Norfolk here. Perfectly poised between the sandy beaches of the Norfolk coast and the picturesque waterways of the Broads, the seaside town of Great Yarmouth has been an accessible getaway for Londoners and Norfolk locals alike for generations and today there's a fantastic mix of campsites within easy reach of the town. From the recognisable stripy cliffs of Old Hunstanton Beach to the more gaudy amusement arcades and 'tropical' leisure pool in the new town, Hunstanton is an odd mix of new and old. In the countryside around, there are plenty of excellent Hunstanton campsites though, with only the best making it into our hand-picked Cool Camping collection. From the beaches of Mundesley, Happisburgh and Sea Palling to the Norfolk Broads around Dilham, Stalham and Wroxham, discover the best campsites near North Walsham in North Norfolk here. The vibrant, compact city of Norwich in Norfolk is just a stone's throw from the Norfolk Broads and less than half an hour from the coast. The result? 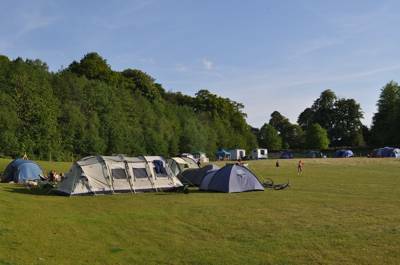 There's a whole host of local Norwich campsites, which sit right on the outskirts of the vibrant county capital. All rise for this most royal of camping holiday recommendations – Sandringham. The near-20,000-acre estate is well known as the holiday estate of choice for the royal family. And, if they love North Norfolk, that's a pretty solid nod that you're on the right track for planning your own holiday too. From the sandy beach to the seaside shops of the town itself, there's plenty to keep you busy in and around the North Norfolk town of Sheringham. As always, we've been out on the road in our trusty VW campervan and touring the coast with the kids to bring you a collection of only the very best campsites in the area. 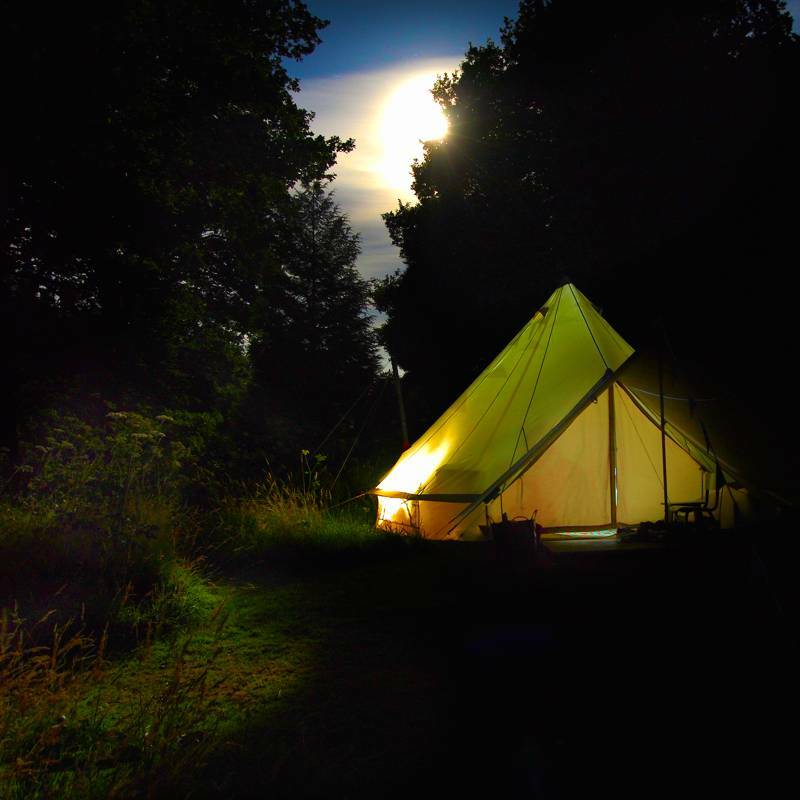 Planning a camping holiday in Thetford Forest? Load up the tent, grab the bikes and take a glance at our collection of the very best campsites in and around Thetford in Norfolk, all hand-picked by the travel experts at Cool Camping. Ideally situated where the Norfolk Broads meet the sandy beaches of the North Norfolk Coast – home to seals on the beaches and freshly caught crabs in the local seaside villages – Waxham is the perfect base for a Norfolk camping holiday. From the gantry-framed harbour and fish-and-chip shops of town, to the beach-hut-backed beach and the stately grounds of nearby Holkham Hall, discover the best campsites near Wells-next-the-Sea in Norfolk with this hand-picked collection from Cool Camping. 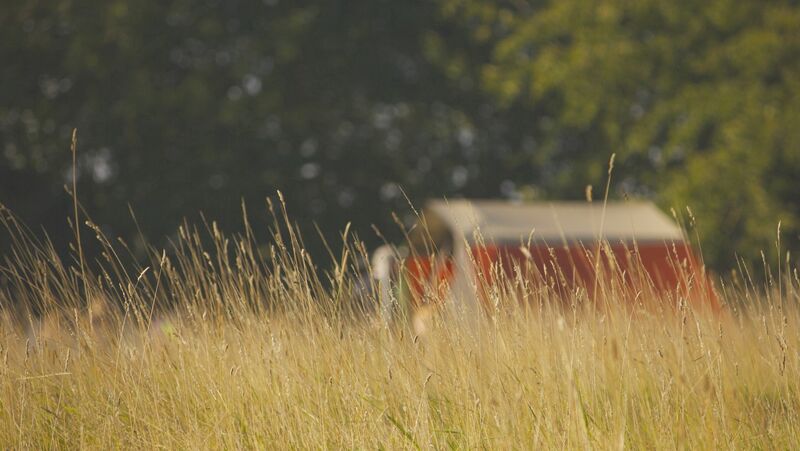 Sniff out the best dog-friendly campsites in Norfolk – from the beaches of the North Norfolk cast to the meadows of the Norfolk Broads – and discover a dog-friendly camping heaven with this collection of recommended sites from the travel experts at Cool Camping. Family-friendly camping doesn't need to mean playgrounds, swimming pools and organised entertainment. We pick out the best campsites for children the Cool Camping way, where space for ball games, tree climbing and generally running wild is at the forefront of the camping experience. Discover the very best glamping sites in Norfolk, from bell tents on the North Norfolk coast to romantic shepherd's huts in the forest. Find them all here and book online for the best price. 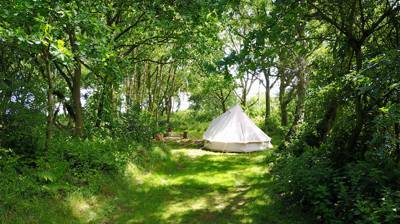 Camping in Norfolk is always a joy and there are plenty of great camping and glamping sites to choose from. A low-lying county with 90-miles of beautiful coastline, Norfolk also has swathes of open landscape punctuated by farms, picturesque villages and market towns. It’s criss-crossed by cycle trails, footpaths and waterways that take advantage of the flat countryside, making it an ideal destination for anyone who wants to make the most of being outdoors. Its fenlands, marshes and beaches are a magnet for wildlife as well as holidaymakers so it’s a great place for nature lovers too. Then there’s the family-friendly, timeless appeal of crabbing at Cromer, seaside fun at Great Yarmouth and the chance to paddle from those glorious sandy beaches. Whether you’re hoping to park up your campervan in the Broads, or want to pitch a tent by the beaches of the north Norfolk coast, you’ll find something to suit you in the Cool Camping collection. And that’s not to mention Norfolk’s thriving glamping scene. Glamping in Norfolk has taken off in a big way and includes everything from fairytale cabins in the woods to simple bell tents by the beach. Norfolk is a hugely popular camping destination for families – with good reason. In recent years the Cool Camping team has toured all over the county with our own tiny tots in tow and have a number of best-selling family-friendly guidebooks to show for it. Whether it's the beaches, the child-friendly pubs or the quiet country roads for cycling, our kids have always given camping in Norfolk two thumbs up and our most recent edition of Cool Camping: Kids featured a number of excellent campsites in the county. Norfolk is an easy destination to get to for families from the south east and the counties around London so you shouldn’t hear too many cries of “Are we nearly there yet?” en route. Once you’ve arrived on site, you'll usually find that, before you've even finished pitching the tent, your children have befriended half the campsite. And that's one of the great things about family camping in a place like Norfolk that’s known for being kid-friendly. Before you know it, your children will have made new friends for life and time on the campsite will be spent running wild, playing hide-and-seek and kicking a football about on sunny summer evenings. Days out can be spent building sandcastles on the beach, crab-fishing in Cromer and eating ice cream on sunny shores. If you’re camping near The Broads, how about hiring canoes and kayaks for an active family day on the water? The only tough part of camping with kids in Norfolk is convincing them to go home again at the end of the holiday! Tent campers have been enjoying the Norfolk coast since long before the word 'glamping' was even invented and today the number of traditional, independent, tent-friendly campsite is as strong as ever. There are well-established beachside and farm-based campsites with full facilities as well as pop-up campsites which fling open the gates in the summer months only. Norfolk’s popularity as a holiday destination means that there are plenty of big holiday park-style campsites but if you know where to look, the county also has ample options for tent campers looking for a smaller, quieter place to pitch. Here at Cool Camping, we prefer nights around the campfire to nights in the clubhouse so our collection features smaller, independent sites – usually with a little more personality and plenty of space. In a county like Norfolk, where so many of the attractions are in the great outdoors, camping just feels right. You can top off days on the beach with nights by the campfire or barbecue and then wake up early with Norfolk’s stunning early sunrises to do it all again. It’s also a great-value way to go on holiday and usually pretty eco-friendly too; having a limited impact on the natural environment that makes much of Norfolk such a brilliant place to visit. If you don't own any camping clobber or simply want a little more luxury than a regular tent or campervan can provide, glamping in Norfolk could be the answer. 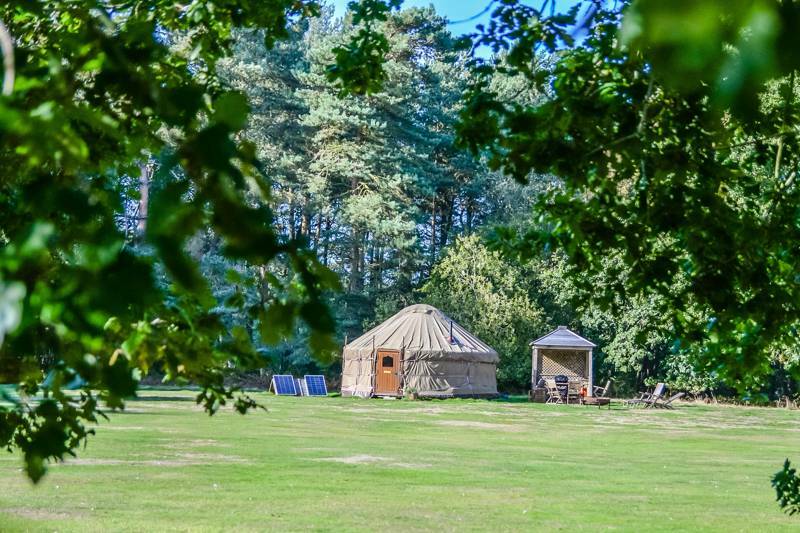 Norfolk seems to have more than its fair share of excellent glamping sites, so if you're looking for something a little more up-market you needn't worry. There are glamping-only sites where you’ll be among like-minded glampers and regular campsites where your glamping accommodation will be the cream of the crop. 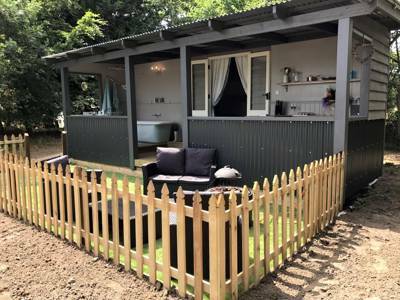 And when it comes to types of accommodation, what’s provided and levels of luxury, you’ll find the full range among our recommended glamping sites. There are simple summer bell tents and tipis on pop-up sites which simply save you the hassle of putting up a tent and, at the other end of the scale, there are insulated shepherd's huts, glamping pods and wooden cabins with all mod cons. That’s not to mention a whole lot of other options in between: treehouses, yurts, gypsy caravans and geodesic domes all feature on today’s glamping scene. There are places where you’ll feel cosy with a log burning stove and a kitchenette indoors and others where the back-to-basics feel of camping is kept with rustic touches, fire pits and deliberately limited lighting. The accepted jewel in Norfolk’s crown, apart from the royal estate at Sandringham, is the North Norfolk Coast. Its sandy beaches and beautiful countryside understandably make it the most popular place in Norfolk to go camping. Stretching from Cromer in the south east to Hunstanton and Kings Lynn in the north west, the north Norfolk coast is one of the UK's most diverse areas of seafront. The vast sandy beaches of Cromer, Holkham, Brancaster and Holme converge with great expanses of salt marsh and dunes, backed by mixed woodland and some of the most fertile farmland in East Anglia, along with great country estates, including the aforementioned royal holiday hotspot at Sandringham. There are also wildlife-rich areas including Holkham Bay Nature Reserve and Blakeney Point where you can see impressive seal and sea bird colonies. Among it all is a peppering of quaint seaside villages and harbour towns – each with their own charm. Wells-next-the-Sea is known for its beach huts, Brancaster Staithe for its working harbour, Morston for its daily boats to see seals at Blakeney Point and Burnham Ovary Staithe for its quaint creek-side location. Whether its crabbing off a quay, catching a boat to see the seal colonies or building giant sand castles, this coastal wonderland offers plenty to entertain. If you’re not a coastal camper then it may well be the Broads National Park that’s tempting you to visit Norfolk. 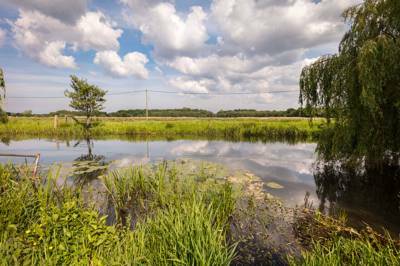 This vast area in the south-east of the county, formerly mined for its peat, has over 120 miles of navigable waterways, with seven different rivers and over 60 different broads. It’s Britain’s largest protected wetland and is home to some of our rarest wildlife – so don’t forget the binoculars. It goes without saying that this is a fantastic place to take to the water but it’s also a great place to walk, run or cycle: no pesky hills and plenty of car-free routes ensure peaceful days on tracks and trails. In amongst this watery wonderland, flat, lush meadows offer the perfect base for campsites and there's a whole host of excellent places on offer. Many campsites in or near the Broads offer canoes or kayaks to hire, while a number of boat rental locations across the national park allow you to hire small motorboats to take to the waterways with ease. There’s more flat landscape drained by waterways over in Norfolk’s north east: The Fens. Big skies and wide-open vistas characterise the fenland: a flat marshland that’s been reclaimed from the sea and is largely agricultural. Perfectly even pitches are almost assured. Here, you’ll find quiet camping, peaceful ambling routes to the pub and quaint market towns to explore. Norfolk’s chief attractions are the great outdoors: the beaches, the Broads and the countryside. Depending on where you camp and what part of Norfolk tempts you most, you may be lucky enough to simply unzip your tent and start enjoying the scenery. But if you need a little help choosing which beach to bathe from or where to sample the seafood, we’ve got you covered. When it comes to beaches, you can hardly go wrong but which one you choose will depend on whether you’re looking for all the fun of the fair or a walk on the wild side. For amusements and ice creams, head to the big-name resort of Great Yarmouth or for facilities on a smaller scale, how about Wells with its independent shops and large sandy beach lined by beach huts? If you’re a wildlife lover, you won’t want to miss the seals so hop aboard a boat to Blakeney Point at Morston Quay or walk to the viewing platform above dune-backed Horsey Beach. And for the freshest crab around, head over to Cromer. The beach and its associated attractions from crabbing to mini-golf is probably the number one family-friendly attraction in Norfolk but there are others too. 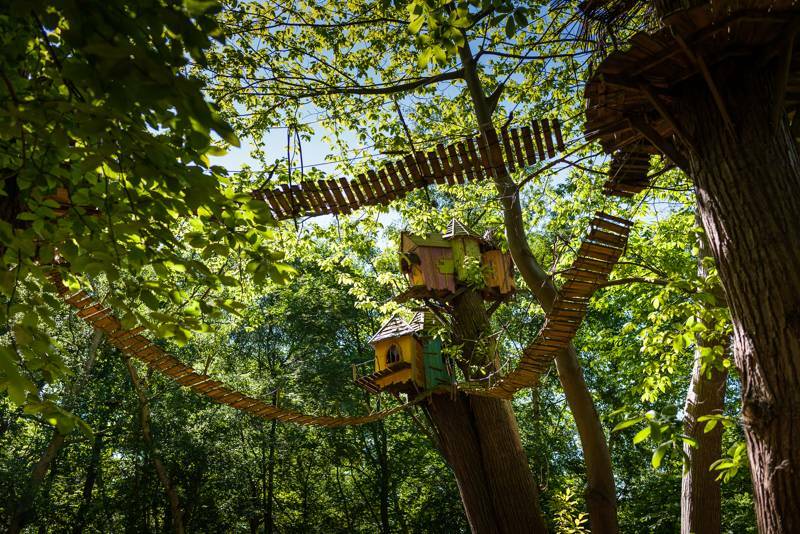 Try BeWilderwood, an adventure fun park with tree houses, zip wires and boat rides and an enchanting magical theme or, for older kids, Go Ape at Thetford Forest. If you’re headed for Norfolk’s famous waterways, you might like to start your exploration in the village of Wroxham, known as ‘the capital of The Broads’. Here, you’ll be able to pick up local information on where to hire boats, what to see and any local events. You can pick up supplies too and watch boats setting out on the River Bure which meanders through the town. Norfolk’s only city, Norwich, is within The Broads National Park – in fact it’s the only city within a national park in the UK. If that’s not reason enough to visit during your holiday in Norfolk, how about taking a look around its Norman cathedral, medieval buildings and lively high street? The grand estates and great houses of Norfolk are another of the manmade treasures that the county is famous for. Lots of them welcome the public to visit on days out – some even allow camping within their grounds! If you’re near the coast, you might like to make a beeline for 18th-century Holkham Hall or perhaps take yourself to the king (or queen!) of the lot and visit the Sandringham Estate. You’ll find lots more inspiration on things to do in Norfolk at the Visit Norfolk website. it's rural, peaceful but still wonderfully accessible from much of the UK. The flat landscape is perfect for pitching tents but varied, with a wild, rugged coastline, grand country estates and a network of rivers and broads that has earned national park status. For families, Norfolk is home to a host of fantastic attractions and ample pubs that welcome muddy boots, muddy dogs and muddy children. And the coastline is a treasure trove with sandy beaches to play on, old quays from which to go crab fishing and boat trips to see the seals. From bustling Norwich to the very tip of Cromer pier, we simply love Norfolk! Norfolk at Campsites in Norfolk, Calling all campers! Planning a trip to Norfolk? Discover the best campsites in the county with this carefully chosen collection from the award-winning experts at Cool Camping. Whether you're pitching a tent, parking up a campervan, or going on a glamping holiday, this hand-picked collection is sure to feature a campsite in Norfolk that suits your needs.